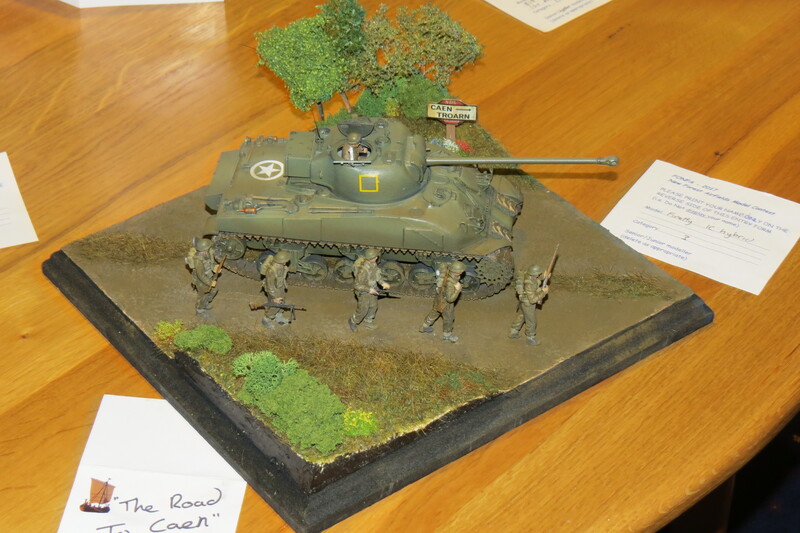 The annual FONFA Model Competition was held on Wednesday 6th December in conjunction with the Poole Vikings Model Club monthly meeting, at the Royal British Legion Club in Broadstone, Dorset. The subject of this year’s competition was ‘D-Day June 1944’. The entries were judged by FONFA Trustees Tony Prince and Henry Goodall, accompanied by master model maker Kip Watson, a former member of Poole Vikings. 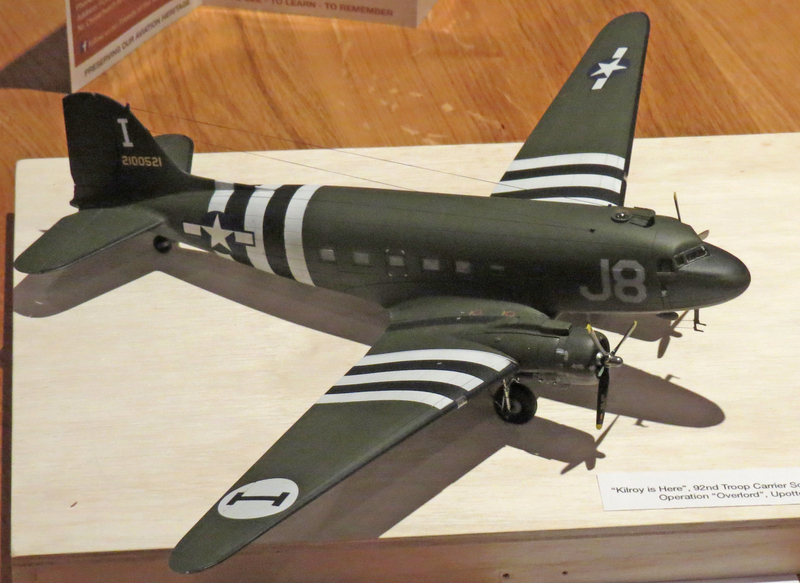 Six entries of a high standard were presented and two Gold Awards were made, for a 1/35th scale diorama model, ‘The Road to Caen’, depicting a Firefly IC Hybrid tank and accompanying infantry, and for a model of a 1/72nd scale C-47 Skytrain transport aircraft. The Sherman Firefly tank would have departed from our local shores around D-Day in June 1944. The Skytrain, or Dakota, as it was named in the RAF, dropped many thousands of military parachutists into Normandy at the same time, in addition to towing Horsa and Hadrian gliders, full of troops and equipment, to their Landing Zones in France. We hope to develop closer ties with Poole Vikings, in the future, with active participation by FONFA in their displays at Model Shows in 2018.